Damn the continuity! By now we all know that every character and every story will get a prequel. 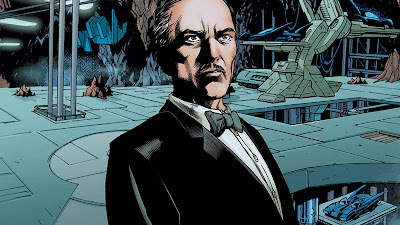 Epix is currently in the process of promoting their new series that will tell the tale of a young Alfred Pennyworth, Bruce Wayne's one constant friend and pseudo parent. This first new image shows Jack Bannon in character for the upcoming series that will feature a story that takes place before the Bat. Check it out here at The Movie Sleuth.